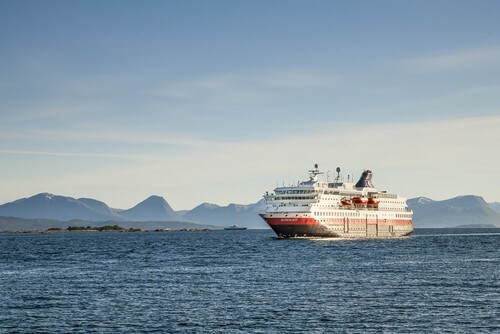 The Hurtigruten Cruise company was established 120 years ago when a ship’s captain was asked by the government of Norway to map the Norwegian coastline. 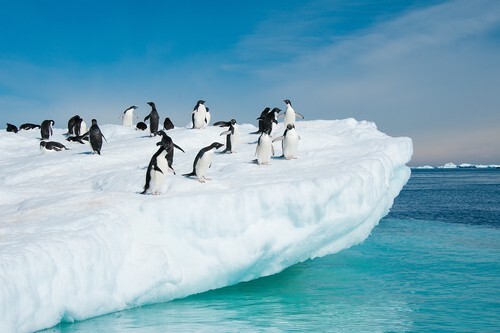 Since then the company has gone on to become the leading expert in navigating both the North and South Poles. With 11 ships and hundreds of professionally trained staff, Aspen Travel are proud to associate themselves with this well-loved cruise operator. Travelling to destinations as far north as the Arctic Circle and as far south as the Antarctic Peninsula, Hurtigruten Cruise take their passengers to a number of beautiful and intriguing countries. 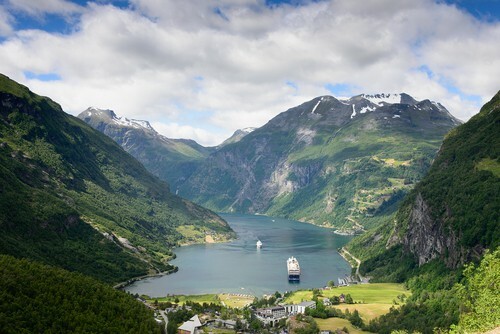 Cruise itineraries include Norway, Iceland, Greenland and the Falkland Islands. The safety of their customers as well as providing an unparalleled experience are both top priorities for this company. You’ll find yourself discovering relatively undisturbed landscapes in the midst of a great white, icy wilderness and all from the comfort of your own cabin. What will you see in the North? The Arctic is known as the land of fire and ice, due to enormous glaciers, ice caps and an abundance of volcanic activity. It’s also known as the land of the midnight sun, given the 24 hours of daylight you can enjoy during the summer months. Exceptional as the summer is in the Arctic, the winter darkness is perhaps even more exciting. It’s during the winter that you’ll get the best views of the dramatic Aurora Borealis lighting up the sky in a whole host of spectacular colours. On top of such incredible natural phenomena, there are also exciting excursions to enjoy. 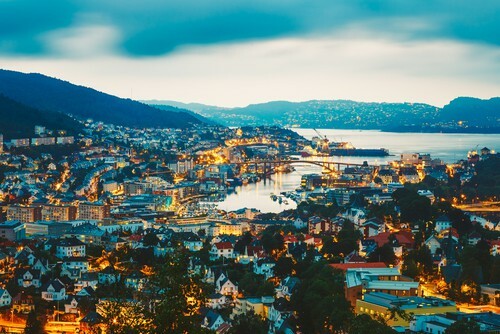 These include dog sledging, hiking through the ice, trips to the main urban centres of the Arctic such as Bergen, Trondheim and Tromsø , as well as the opportunity to stay in a hotel made of snow! 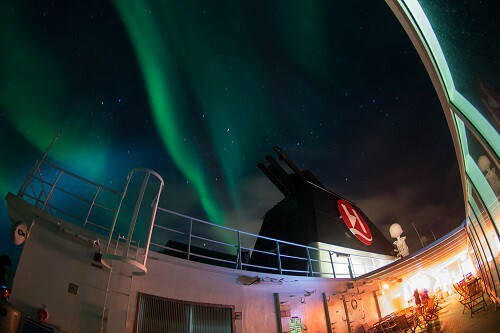 Finding The Northern Lights in the Arctic sky, is easy when you take a Hurtigruten cruise to Iceland, Greenland or Norway. You need to be as far north as possible, during the winter months and looking in the direction of the North Pole. The cruise is an unforgettable experience, enhanced by on board lectures given by leading astronomers.